During a visit to the Human Appeal Organization in Rafah, Su’ad Abu Khatla commented that there are many beautiful, hand-made crafts in Rafah, but no market in which to sell them. Now the Madison-Rafah Sister City Project has partnered with the Rafah branch of the General Union of Palestinian Women to bring beautiful embroidered handicrafts to Madison. 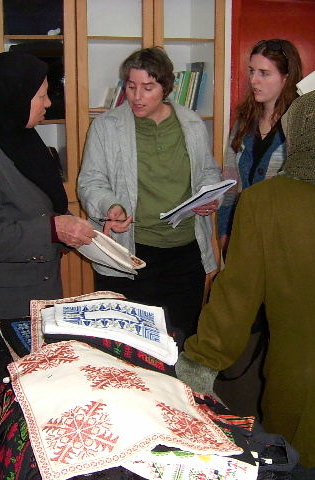 These fair-trade crafts help support the women and their families, and help ensure that the art of Palestinian embroidery continues to flourish. Palestinian embroidery, or al-Tatreez, is an integral part of the Palestinian geographical and cultural landscape. Historically it has been possible to identify the specific region in Palestine where the embroidery was made, and the status of the person owning or wearing the embroidery, based on the color combinations of the thread and the design and color of the cloth. Originally Palestinian embroidery was created by most women living in the countryside. After completing their chores, women would gather in groups to practice the art of al-Tatreez. With the start of the political turmoil and violence, the art of embroidery became a luxury and began to fade away almost to extinction. Today many Palestinian arts-and-craft groups and trade schools are reviving this form of Palestinian art. Over time, Palestinian embroidery has developed into an expression of national identity. 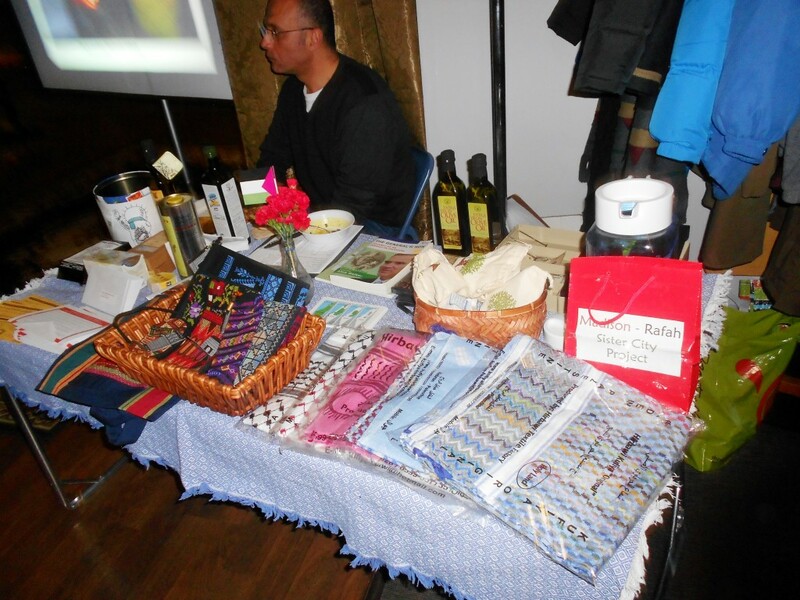 The embroidery is sold at various events and holiday shows. More information on Palestinian crafts is available from Sunbula, a Fair Trade organization supporting Palestinian women’s cooperatives. Madison-Rafah Sister City Project (MRSCP) was founded in 2003 to foster people-to-people relationships between the citizens of Madison and Rafah. Located on the border with Egypt, Rafah’s economy and city infrastructure have been devastated by Israel’s occupation. MRSCP has focused its efforts on both humanitarian aid and community education, including lectures and films on the conflict in Israel-Palestine. Checks to “Madison-Rafah Sister City Project” with the memo “Crafts” can be mailed to the address above. 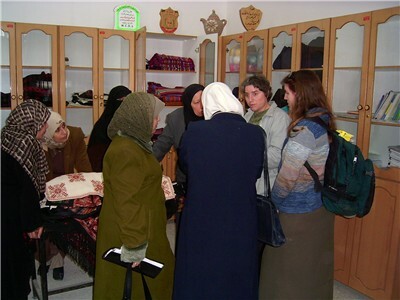 This project requires the help of people with persistence, dedication to fair trade and global exchange, and an interest in advancing the cause of women in Palestine. For further information, contact RafahSisterCity (at) yahoo.com.